Was The 'Circle Of Fire' In The Sky Over Jerusalem Just Before Rosh Hashanah Real Or Fake? 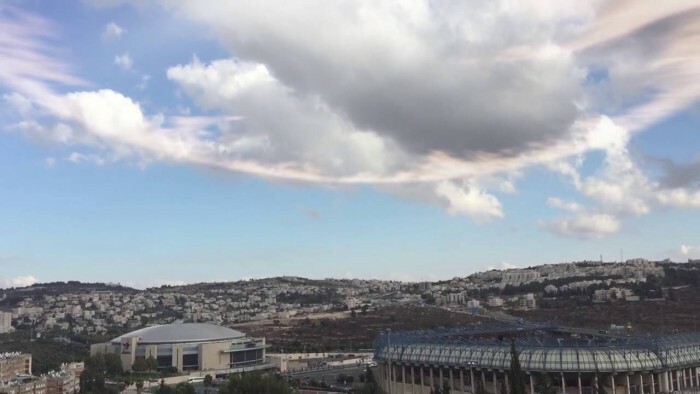 Was The ‘Circle Of Fire’ In The Sky Over Jerusalem Just Before Rosh Hashanah Real Or Fake? Since so many others were dismissing the video as a fake, I did as well, but I have to admit that I didn’t really look into it. So could this actually be real? If so, what could account for the very unusual behavior of the ring of clouds?